This researcher resource contains more than 60 critiques that outline: strengths/weaknesses, reliability/reproducibility and application; critiques of paper-based questionnaires and physical instrumentation-based outcome assessment instruments; and visual examples and measurement specifications for physical instrumentation-based outcome instruments. 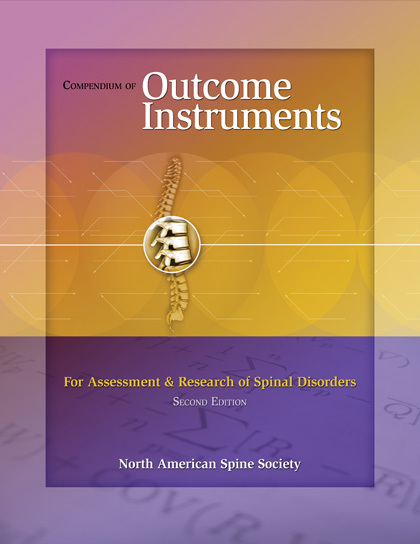 The purpose of the Compendium is to provide health care professionals in the area of spinal disorders with a resource for selecting the most clinically useful and psychometrically sound measures to use in tracking and documenting treatment outcomes. Second Edition.